CERTAIN FOOTBALLERS DISPLAY AN ABILITY and grace that draws admiration from fans of all clubs. A level of talent that crosses allegiance and attracts appreciation. 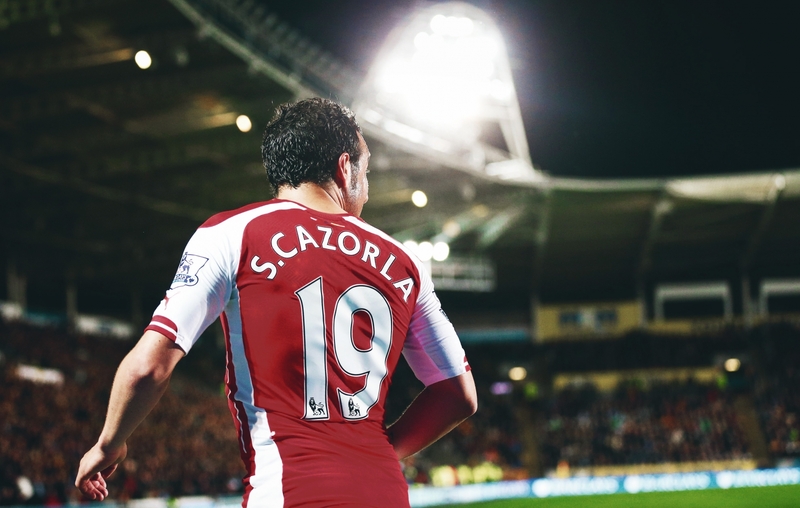 Santi Cazorla is the perfect example. Injury has meant that the diminutive midfielder hasn’t kicked a ball in almost 18 months, suffering complications, setbacks and repeated extensions to his estimated return date. Arsène Wenger recently described it as the worst injury he’s seen. Early in the 2016/17 season, Cazorla was on the end of a heavy tackle in a 6-0 thrashing of Ludogrets in a Champions League group stage game. The original prognosis was three months, but numerous operations later and there’s still no sign of an imminent return. His last act before the tackle that started the nightmare? An assist, of course. Having been out for so long, it’s easy to overlook just how much Arsenal miss his presence in midfield. He spent most of his 20s playing in an attacking position, either just behind the striker or out wide, but during his time at Arsenal, he migrated to a deeper, playmaking role, dictating the game from deep and mixing short and long passes with precision. His whereabouts in the centre of the park meant that Mesut Özil and Alexis Sánchez would not need to consistently drop deep to receive the ball. Who knows what those three could have achieved if they’d played a full season together on top form. Cazorla is the epitome of the old cliché ‘being worth the entry fee alone’. His ability to use both feet with equal brilliance gives him a balance on the ball that is simply glorious to watch. He’s arguably the most ambidextrous footballer of his generation. The benefits this skill brings are obvious. Players who rely on one foot can take longer to manoeuvre themselves to make the next pass. It may only be a second or two, but this can be crucial at the highest level. With the ability to receive the ball on either side, it can also improve the players around you. It can turn a bad pass into a good one. Cazorla would frequently change the foot he used when taking a set piece. It’s mustn’t be underappreciated the hours of practice it takes to reach this level. “I started playing with both feet ever since I began kicking a ball with my father; I’ve been lucky that it’s something I’ve always been able to do” he said. “My coaches have always encouraged it in me, but you have to want to do it yourself. All the technical work I do, and have ever done, I practise more of with my left foot: more technique, more shots on goal, more crosses.” Few sportsman, let alone footballers, could claim to use either both feet/hands with similar ability. Ronnie O’Sullivan in snooker is another one that springs to mind. At just over five foot four inches, the Spaniard isn’t physically blessed. He’s not quite the smallest player in the Premier League – Bournemouth’s Ryan Fraser comes in at two centimetres less – but he’s not far off. Likewise, he is not the quickest by any stretch. What he lacks in size and speed, however, he makes up for with close control and positioning. A superb, technically gifted midfielder, able to receive the ball in close spaces and pick a pass with ease; he would be the ultimate five-a-side player. Born in the small town of Llanera in northern Spain, Cazorla started his career at local side Real Oviedo. Impressing throughout his early teenage years, it wasn’t long till a bigger side came knocking, in the form of Villareal, six months before his 18th birthday. His first season with the Yellow Submarine was spent predominately in the reserves, making just a couple of senior appearances off the bench. The following campaign saw the Spaniard become an established member of the first team squad. He scored four times en route to the UEFA Cup quarter-finals and a fourth-place finish. 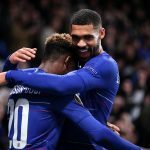 The following season brought more highlights inclusive of a semi-final finish in the Champions League, with Villareal agonisingly losing 1-0 to Arsenal. Despite featuring heavily throughout the 2005/06 season, Cazorla was sold to newly promoted Recreativo de Huelva, with the deal including a buyback clause. This turned out to be his breakthrough year, helping Recreativo to an eighth-place finish and scoring five times. Sports magazine Don Balon announced Cazorla as their Spanish Player of the Year. His former side took notice, utilising the buyback option just one season after he left El Madrigal. Cazorla would continue at the club until 2011 when Málaga, fresh off a recent financial influx, secured his signature. In his single campaign at the club, he had his best scoring season to date, netting nine times in LaLiga and appearing in every game. Málaga finished fourth and achieved Champions League qualification for the first time. A summer later, the club’s finances turned sour and they were forced to sell their star midfielder to Arsenal. 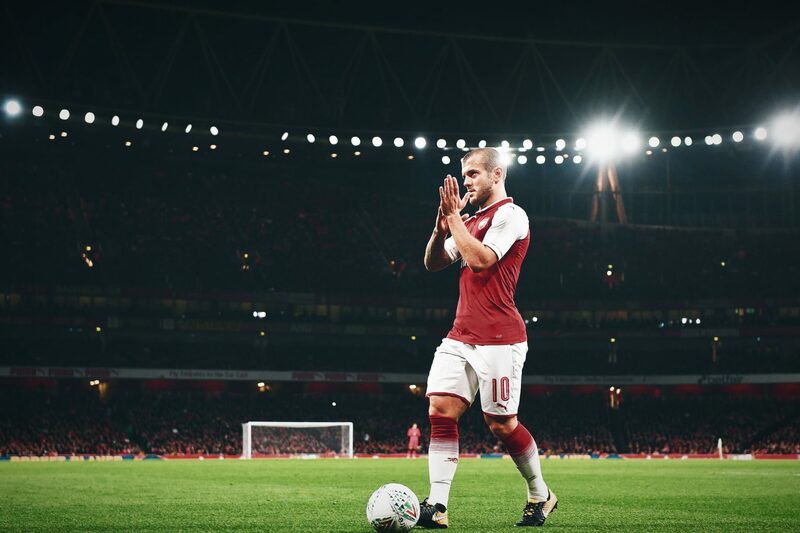 Read | Can Jack Wilshere still become the world-class star Xavi, Guardiola and Wenger predicted? Cazorla’s career at Arsenal started with a man of the match display and he continued his electric form throughout his first season, contributing 12 goals and 12 assists. The next two campaigns for the Gunners brought team success to go with individual displays in the form of back-to-back FA Cups. He was an ever-present across all competitions in his early days at Arsenal, playing 148 times in three seasons. The 2016/17 season also started excellently for Cazorla, producing his top form for the first 11 games. Then, on the 19 October, disaster struck: an Achilles injury has meant that the Spaniard hasn’t featured since. To date, Cazorla has also made 77 appearances at international level, a fantastic achievement considering the competition for places in the Spanish squad in recent times. It’s likely he would have eventually made it to a century had it not been for injury. He also featured in the successful 2008 and 2012 European Championship campaigns, with injury ruling him out of the 2010 World Cup. 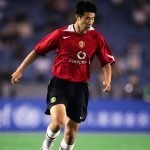 Given his stature, the way he plays, and admiration from other professionals, it’s easy to draw parallels with Paul Scholes. Both dictate the play in an effortless, unassuming way. Scholes wasn’t properly appreciated until after his retirement, and it’s likely the same will happen with Cazorla. 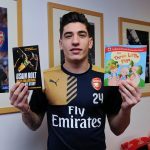 There’s a famous line once uttered by American Sports coach Archie Griffin: “It’s not the size of the dog in the fight, but the size of the fight in the dog.” Here’s hoping Santi has enough fight left in him to display his talents on a football pitch once again.